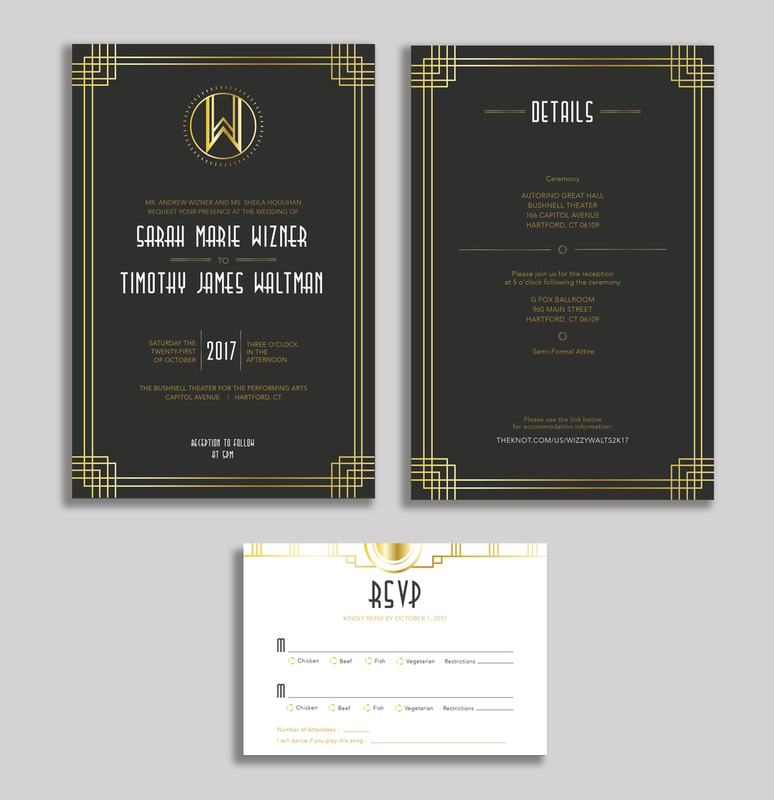 Full design package for a 20's inspired wedding. The goal was to create a design that spoke to the art deco style of the reception space in a classy and simple way. 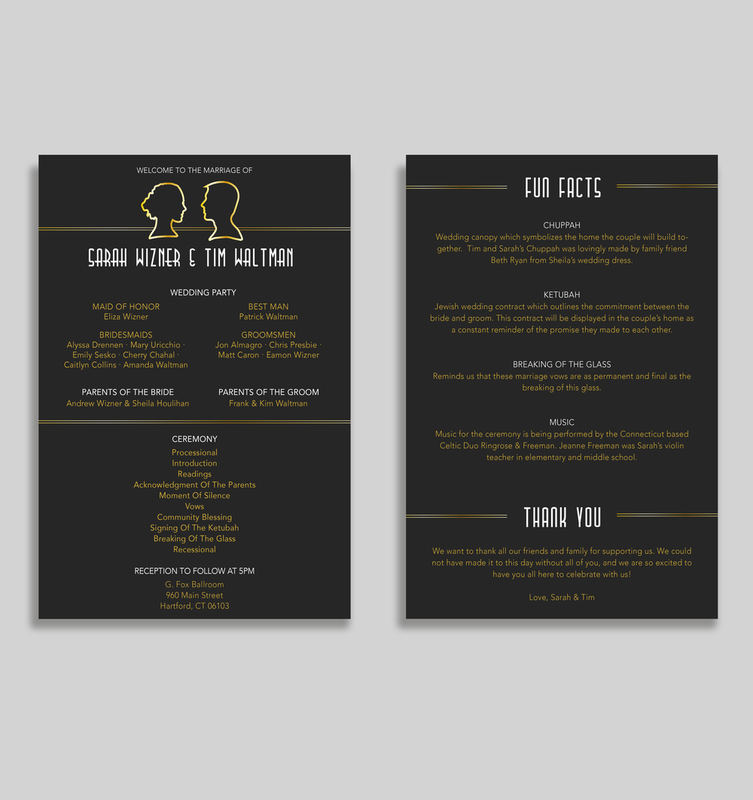 The design elements used in the invitation were echoed in all other signage and printed materials. Signs that were framed and placed accordingly around the reception space. In order left to right - hashtag sign, bar sign, guest book sign, and gift table sign.